I sure hope you are all off to a good start this week. The oh-so-super-talented Becca Rees happens to have a wonderful start to the week. She and her hubby and kiddos just moved in to their brand new house that they have been waiting about 9 months for, and it's beautiful! Plus it's only about 4 houses down and around the corner from my house! 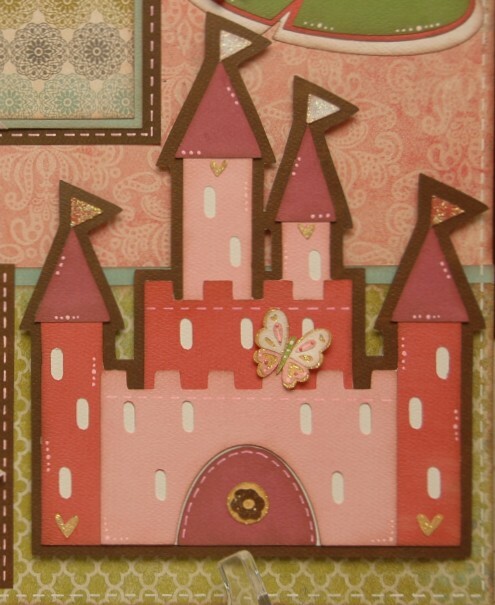 And speaking of beautiful, Becca just designed this gorgeous new Princess layout, which is available as a kit. See below for details. 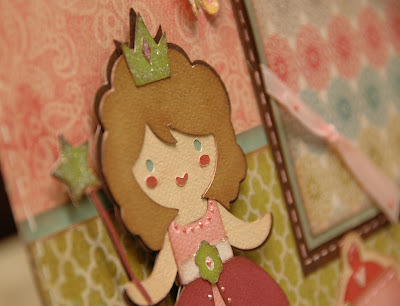 The Princess layout kit will be ready to ship out by May 31st. To order, just visit our Cricut Kits page, and you can use our new shopping cart. It'll be ready the same time the Disney Autograph album will be ready, so take advantage of combined shipping! The kit will include all of the papers, cardstock and ribbon that you'll need to complete the layout. Plus you'll get detailed directions with Cricut Cut Chart and plenty of color photographs. To complete this project as shown, you will need the following supplies: Cricut Expression and Mat, Once Upon a Princess cartridge, dark brown and purple chalk ink, 3D pop-dots, white gel pen, Diamond Stickles, Petal Pink Liquid Pearls, glue pen, plus basic tools and adhesive. The complete kit with directions is $25, and you can order it from our Cricut Kits page. If you'd like to purchase just the directions for $10, you can check back by May 31st, and then purchase and download the directions automatically at that time. If you have any questions, you can reach me at moniquegriffith@yahoo.com. And don't forget to leave a comment on today's post for another chance at this week's blog candy - the Echo Park "Splash" paper collection. It just arrived today, and it's even yummier in person!! thank you for showing this great LO. The princess layout is beautiful. I really love it. Wish I had a little girl. Thanks for sharing your talent. Wish I had a little girl. This is so cute. sooo sooo cute I just love your layouts!! all the details! thanks so much for sharing. Simply beautiful! I want that cartridge soooo bad! Thank you for sharing! Super cute princess page. I have a little boy, but maybe could do a page for my niece! Thanks for sharing. Beautiful layout, Becca! Congrats on your new house! How exciting for all of you!!! expecting a new great-granddaughter in a month and i see this layout in my future!! Super sweet and oh so girly layout. Great layout! I love the papers used here. This layout is so sweet, I really love it. This is just GORGEOUS! So girly and sweet. Thanks for sharing. Soooooooooooooooo cute! Love this new layout! And YAAAAY, Becca! I can't WAIT to see the "new digs". I'm so excited for you! This is beautiful. Every Princess should have this layout!! I love this layout! It would be perfect for my little princess! A sweet lay-out for a special little someone...love the soft colors. Thanks for sharing.. This is a great layout. WOw, I love this new kit. I love the colors and the paper choises. Thanks for sharing! How beautiful and super cute!! 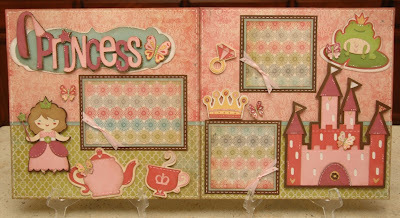 Very pretty princess layout Becca... luv the butterfly and the papers!! What a gorgeous layout! I love all the detail! This is absolutely GORGEOUS! So precious and just adorable! Such a beautiful layout!! I have been wanting to get the Once Upon a Princess cart for awhile. Where do you get liquid pearls again?? I don't know how you guys keep coming up with such beautiful layouts. This one is precious. I am so happy for Becca.. and what a beautiful layout. What a talented group you all are! Gorgeous Becca! And YAYAYAY for you finally getting to move into your house! :) Congratulations! So cute!!! Can't wait to buy it! Dang it! Another kit I need to buy! Dang it! Another gorgeous kit to buy! What a beautiful layout! I just made my niece a "Birthday Princess" layout with this cartridge and it turned out so cute. Becca sure creates beautiful projects. I love the little butterfly clinging to the castle. Congrats for moving into your new home- exciting (and busy) times! This layout is absolutely gorgeous!! Love the paper and the cuts! Very pretty, any princess would love this layout! TFS. Beautiful layout!! Thank you so much for sharing. I love it! Congrats on your new home Becca!! I love the lo, too cute and perfect for any little girl. 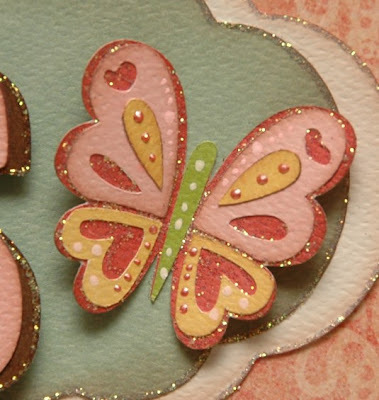 Love the papers-such beautiful patterns and colors! Congrats on the new home!! I really really love this layout!! Great work!! OMGoodness, this is adorable! If only I had girls! Such a lovely layout. TFS! 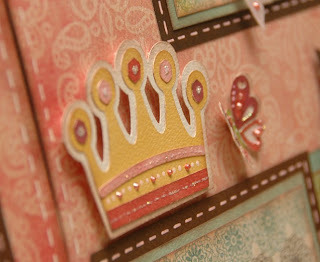 Beautiful layout, love the colors and paper you used. You all continue to amaze me. You guys are absolutely amazing!!! I love your scrapbook pages!!!! I wish I had your flair for design. I love the Princess Layout Kit. It is so cute. Love the distressing as well. Thanks for the chance to win the paper kit. I love the use of that cartridge! I bought it even though I have older teen girls and love it for the font and the journaling tags and jewels. What a great layout. Very talented! Oh my...I love this princess page and yesterday's album too! Another gorgeous LO! The details are incredible! This is a gorgeous layout for all those little princesses out there. Love the detail to it and the papers are really pretty. Wow, I love this lo I will be running over to order one right now. I love this layout. My Goddaughter is about to have a little girl. I have to make this for her. Yeah for the new house! And this is a beautiful layout. Wish I had a little princess for it. 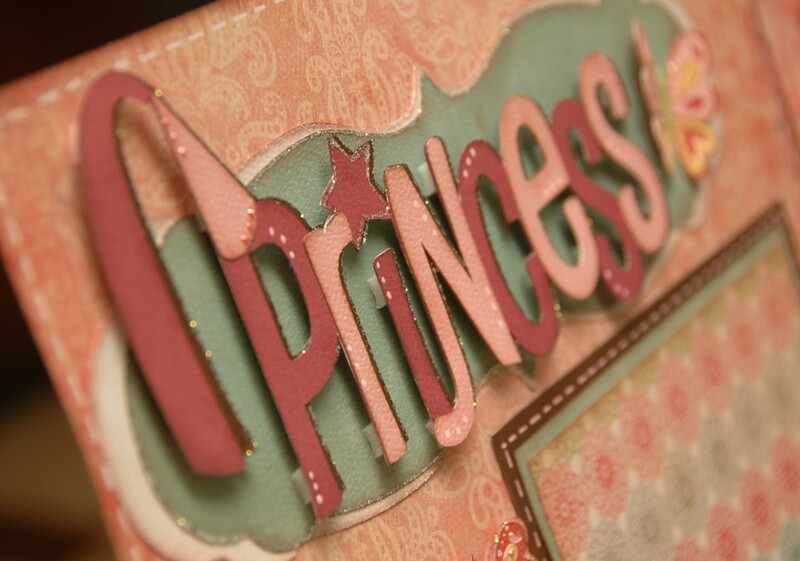 A little girl WOULD feel like a princess with this in her album! What a great layout, fit for a princess. Wonderful layout and I love that paper! Wowwie at the details on this, great job! As usual, another adorable kit! My little granddaughter would love this layout! I love your Princess layout, it is adorable. Beautiful pages!! They are so pretty! I love this! It is so cute! Now I have to get that cartridge!! that is just too nice. I'm sure my grand daughters would love this! Just beautiful!! I am a new scrapper, I have a little girl and this layout has really inspired me. I do have this cartridge and would love to complete something like this. The detail is just amazing it must have taken hours to complete. This is a beautiful LO! Oh my!!! Loving this, perfect for my "little princess"
WOW first time to your site, just wonderful!. Thanks for your work.